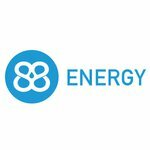 Is the next chapter in 88 Energy’s growth story about to unfold? 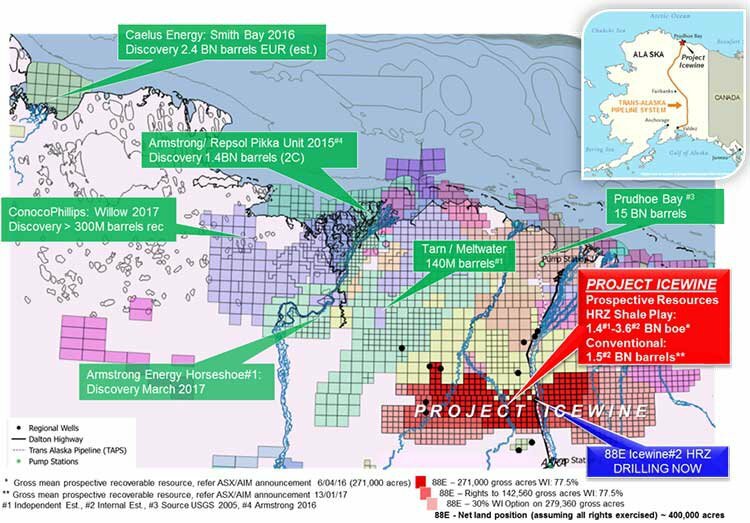 2016 has been a very prosperous year for dual listed 88 Energy (AIM | ASX: 88E) and long term shareholders, and now things are about to pick up again over the coming months with steady news flow anticipated. 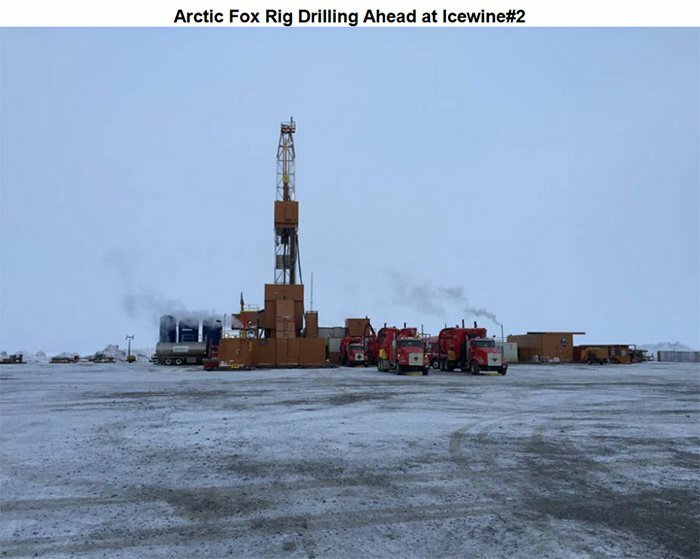 Following on from the hugely successful drilling of the Icewine#1 well onshore Alaska, independent estimators D&M have weighed in with a revised estimate of the size of the potential prize 88E is holding at Project Icewine. Almost twice as much as first estimated, D&M have calculated a gross mean unrisked prospective liquids potential of 985 million barrels recoverable. 88E’s internal assessment is higher still, making a number of assumptions that differ to D&M, owing to the team’s experience in successfully understanding and unlocking the Eagle Ford shale play. Let’s paint the current opportunity as simply as we can. There is a 50% chance of over 2 billion barrels at Project Icewine – even if this was worth only $1 per barrel, this looks like a pretty asymmetric opportunity, especially given 88E is currently capped at 72M GBP / $148M AUD. $25M AUD worth of institutional funds agree. Unheard of in the current junior oil market, 88E was able to achieve the unthinkable, securing this funding in a cyclical downturn in the price of oil. It’s clear the smart money want to get involved in the play defining project 88E appears to be developing. At the same time, as is the nature of early stage oil exploration, there is also a relatively high chance that Project Icewine does not deliver a successful outcome – so invest with caution and always consider your personal circumstances when making a financial decision. As the overhang from the heavily oversubscribed capital raise (which was completed at A$0.035, equivalent to .019 GBP) gets chewed through, now could well be a good time to top up as 88E gears up for a wave of newsflow over the coming months. 88E Managing Director Dave Wall is clearly bullish himself – having just bought 2 million shares on market in a strong vote of confidence. Economics – how much will it cost 88E to extract oil at Project Icewine? At what price of oil is this project profitable at? Drill Permitting – The horizontal Icewine #2H well is scheduled for Q1 2017, and 88E are focussed on getting full approval to drill in the coming months, at the same location as Icewine#1. Well Design – A whole host of features need to be designed for Icewine #2H – 88E want to quickly prove up the potential of this play (or otherwise), and that is what Icewine #2H will aim to do. Potential deal / new project partner? Now that it appears Project Icewine is simply too big to ignore, could 88E attract a new partner to help bring Project Icewine to fruition? Regular readers of the Next Oil Rush would no doubt have followed 88E’s story from the very beginning , so this article won’t go over too much of the background story. For those new to the stock, our most recent articles in March and February can bring you up to speed with how the company has arrived to where it is today. We are focused on the future of this stock, and what will unfold in the coming months of strong newsflow, fortuitously as the oil price creeps up – it’s nearing $50 a barrel for this first time in 2016... every dollar increase in the price of oil improves the economics of this play considerably. 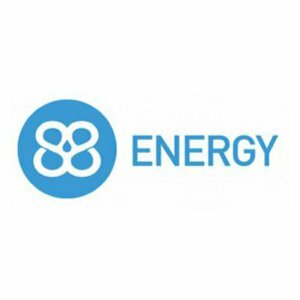 Before we look to far ahead, let’s just go through the fundamentals of why 88E shares performed as they did over the last six months. As you read this though, just remember, past performance is not a reliable indicator of future performance – so if you are considering an investment, make a decision with due caution. Now that most of the data has been released from Icewine #1, we’re in a position to fully appreciate it and what’s going on with the play rather than just having a series of separate figures to consider. Firstly, we need to reiterate that the purpose of Icewine #1 was to determine the characteristics of the HRZ shale play, and whether or not the play met certain criteria in terms of showing potential to be an economically robust project. Now it’s clear that Icewine #1 ticked all the boxes that 88E were looking to tick. Comparing it to other US onshore shale plays, the early look through is that 88E’s play is showing signs of being a Tier 1 shale play (i.e. on par with the Bakken, Eagle Ford, and Permian). Four major characteristics 88E were looking to assess via Icewine #1 are laid out in the boxes below, and they are chiefly related to trying to get a handle on what kind of flow rates 88E might expect from the resource. There are a host of other factors which Icewine #1 determined, and which impact how 88E goes about designing Icewine #2H and the economics of the play, but we won’t go into that for now. Instead, let’s go into a bit more detail on the four key factors laid out above that are related chiefly to what kind of oil flow rates 88E may be able to see at the project. Viscosity is a measure of how easily hydrocarbons can flow through a reservoir – it’s all related to things like supercritical flow, and how liquids can sometimes behave as gases when under pressure. Low viscosity means the hydrocarbons can travel easily through the reservoir, and of course extracted by 88E. On top of this, 88E found that the HRZ play is in the thermal maturity sweet spot, which is a combination of high liquid content, and low viscosity. Now, thermal maturity basically describes how old a particular rock is. Oil is formed over millions of years and is actually fossils of plants and animals long dead being crushed over time – not pleasant to think about, but your car basically runs on dinosaur juice . Much like you can tell the age of a tree by counting its rings, you can basically analyse a rock to see how old it is. There’s a lot more to it, of course, but by telling how old a rock is and where it’s at in terms of its development you can tell whether or not it’s like to hold oil. What the data told 88E is that the target rock, the HRZ shale, was within a volatile oil and wet gas window. This essentially means that it transitions between the two, but more liquids than gas. Pretty much exactly what 88E was looking for. Bottom seal/overpressure describes the pressure the source rock is under from below and above. A bottom seal means there’s a very hard layer of rock below the oil rocks at Icewine, so it’s hardly going to go down. Meanwhile, it’s also being squeezed from the top, meaning that the oil is just bursting to get out. It’s like squeezing a hamburger from the bottom and top and seeing all the ingredients squeeze out. In reality, what 88E wants to do is put a well down there thus creating an exit path for the oil. Luckily then, 88E observed pressure in the HRZ which is 40% higher than the hydrostatic gradient (i.e. overpressured). Permeability refers to the ability of any given rock to allow fluids to move through it, which turns out to be pretty important in shale extraction. Oil moving through rock is the main aim of the game at the end of the day – and 88E’s analysis found that it was on par with the Haynesville. It also found that it was higher than the Eagle Ford Shale, the big daddy of US shale oil extraction. Doesn’t get much better than that. Finally, porosity is a measure of the tiny, tiny holes the naked eye can’t see in rock. Any rock you may pick up might be full of holes much like an Aero bar – albeit on a much, much smaller scale. 88E’s analysis found that the HRZ has an excellent comparison to other plays, such as the aforementioned shale. So, if you put that all together – what do you get? 88E believes it may have found a brand new type of Tier 1 play – which appears to have some similarities to reservoirs known as ‘Low-contrast Low-Resistivity’ reservoirs, which are more often than not associated with conventional reservoirs. So, basically it’s found shale that may in fact be easier to frac and get oil out of than shale typically is. It is still early days though, and whilst Icewine #1 derisked the play considerably and has set 88E up for success, it’s no guarantee just yet. As you can see, so far Project Icewine stacks up favourably with the other large, Tier 1 onshore US shale plays. With the data in hand, 88E now has a really good baseline of data to work from for the next phase of Icewine development, specifically how it might go about designing the Icewine #2H well. 88E also went back to the independent resource estimators armed with the drill results, and in parallel ran its own mathematical simulations on what kind of resource the company may be sitting on. 88E essentially has a full set of numbers post-drill of Icewine #1, and the tripling of its acreage position – and the new resource estimates paint a very pretty picture indeed for 88E investors. Now, there are several numbers floating around and knowing what figure means what on oil exploration can be a difficult exercise, but we’ll try our best to break it down and simplify it for you. First of all, it’s important to understand that for 88E we really have two sets of numbers – the first is from D&M, the other is the company’s own internal estimate. D&M are independent resource estimators and give potential investors that little bit of extra confidence that the numbers aren’t being overblown. Also, they’re pretty good at what they do – which is to crunch the numbers according to available datasets. They’re just crunching numbers according to available datasets. What the likes of D&M have to do, especially with a new play such as the HRZ, is basically take the information from drilling and use a model which has been informed by other early-stage shale plays in the lower 48. So, whatever may look like the HRZ – but isn’t. 88E and its technical partner Burgundy Xploration, who was fundamental in unlocking the fabled Eagle Ford shale play, applied their own set of mathematical tools and formulas to arrive at their own estimate – this is the 88E internal estimate. So with the above in mind, a number of 88E’s key assumptions differ to the standard D&M approach, and the end result is a much larger resource estimate released by 88E. The main point of difference between D&M and 88E’s numbers is around how much of the acreage will be productive. While D&M assessed the whole chunk of acreage the 88E JV holds (roughly 272,000 acres), it thinks 42% of the HRZ in that area will be productive. With its intimate knowledge of how this play may be productive, 88E is more bullish with a 70% estimate. The bottom line is that 88E are estimating 2.6 billion barrels of gross mean hydrocarbon liquid resource, compared to D&M’s 985 million barrels. Who is closer to the mark? Needless to say, whatever number you take, at this point in time Project Icewine is still shaping up as a potential Tier 1 play, too big to ignore, and this should be enough to whet the appetite of potential JV/funding partners as the oil price starts to trend upwards. In the meantime, 88E are squarely focused on the well design for Icewine#2. As we indicated earlier, the news flow is expected to start coming thick and fast in the coming months, and right now appears to be a calm period before things start to really take shape – it could prove to be a nice point in time to top up if you are looking to be set up for Icewine #2H. However, ultimately any investment in 88E is your decision, and the share price can go up or down – there is no guarantee in the world of small cap oil stocks. As well as thinking about your own personal circumstances, it’s always a good idea to seek professional advice before investing. There are five potential catalysts to look out for in the near term, so let’s run through them. The JV has completed the acquisition of 662 km of planned 750 km of 2D seismic, a program designed to de-risk the horizontal section of Icewine #2H, whilst also assessing the conventional potential at Icewine. The seismic will tell 88E even more about the geology of Icewine, and the JV will want to make sure it knows absolutely everything about the geology before it starts drilling. It’s one thing to say ‘we’ve got a bunch of data and we’re pretty sure it can produce from horizontal wells’, but it’s quite another to actually have production in the bag. Another additional point to the seismic, 88E reached an agreement with Alaska Seismic Ventures to purchase the remainder of the programme. As part of this deal, the company will also get its hands on 3D data, which should no doubt result in better coverage, resolution and fold at depth over the proposed Icewine #2H location. So 88E and its project partner will spend the coming weeks pouring over the data, trying to join the dots on what’s below the ground, with the goal of pointing the horizontal section of Icewine #2H in the optimal direction, at the optimal depth. Apart from going through the seismic, 88E will also be hard at work designing the best fraccing program for Icewine #2H – everything from how many stages the well will be fracced, to proppant volume, to proppant quality etc. News of how this unfolds will renew investor focus on 88E, and will be a clear sign that things are about to get very real with Icewine #2H. Part of parcel of any drilling campaign, 88E will have to get the paperwork for the drilling sorted, and to this end will need to submit a range of permits and seek approval to drill Icewine #2H – news of successful approval will be yet another momentum building event for 88E. In the grand scheme of things, its early days in this Project’s life. Something that 88E will be looking at over the coming months are crucial economic considerations: how much will it cost to extract oil? What is the NPV of the Project? As the oil price fluctuates, this will have some bearing on what the economics of the project are – for instance is Project Icewine profitable at today’s oil prices? We should know a lot more over the coming months. 5. Potential deal / JV Partner? Icewine #2H could play a vital role in trying to lure a major to the project, if 88E hasn’t done so beforehand. In line with 88E’s aggressive approach to exploration, if 88E is able to prove the performance of a horizontal well then the major will look upon that very favourably. However prior to the drilling of that well in Q1 of 2017, we’re sure that in its spare time 88E will be shopping around the results from Icewine #1 and the data from the seismic to cashed-up potential partners, in an effort to get the right deal for existing shareholders. What is clear is that 88E remains well funded to execute its strategy for now, but with the help of a major, it may mean the company can accelerate the development of the project – and that would be a huge boost for shareholders. In any case, it’s getting ready by making sure it’s cashed up and ready to go for Icewine #2H. So, a company like 88E, even though it has access to attractive Alaskan government rebates – needs to get cash in the first place. It already has a $50 million facility in play with the Bank of America – but it’s recently added some heavy hitters onto the register as it raised $25 million AUD. The thing is, the offer at 3.5c was oversubscribed. It set out with the goal of raising $10-15 million originally, with a stretch goal of $20 million if demand dictated. It turns out that due to the calibre and weight of investors trying to take up the offer, it had to extend the raising to $25 million. Even then, at $25 million, the offer was still “strongly oversubscribed”. Clearly then, the investing community is buying into the 88E story at a time when oil prices remain subdued – perhaps seeing 88E as the classic counter-cyclical play. Build the reserves position when nobody’s looking, and be in the right place and the right time when prices pick back up and sell to the highest bidder. It’s why Dave Wall described the raising as a “step change” moment. “The level of support the company received from institutional and sophisticated investors in Australia and the UK is a step change to only a few short months ago, reflecting the substantial de-risking that has occurred at Project Icewine as a result of the recent Icewine-1 exploration well,” he said. Right now, 88E is in a temporary valley of activity – and ahead of major newsflow in the build up to Icewine #2H, it may well prove to be the time to top up as the overhang from the $25M AUD capital raise is being taken up. But again, no one knows what the future will bring, and 88E’s success from this point in time onwards is simply no guarantee. 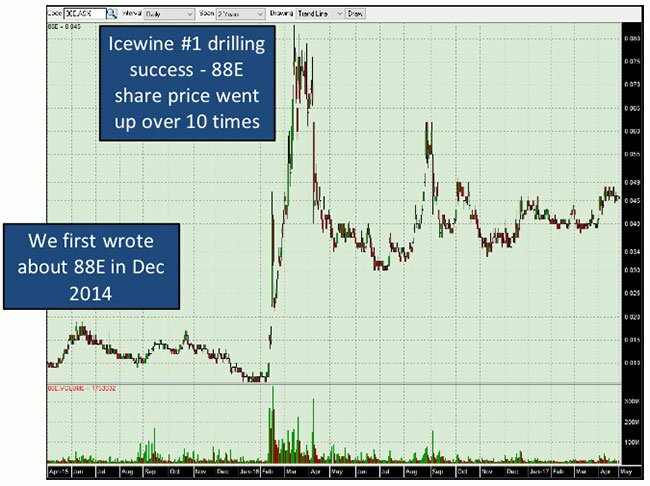 There was a peak of activity during the drilling of Icewine #1 and as results flowed, and we all know how the share price moved. Now it’s gearing up for Icewine #2H. It’s one of those essential periods in which an oil company does all the number crunching to get ready for the next burst of activity. Investors buying right now or holders are into the stock during a relatively quiet time – a breathing period. However with the drilling of Icewine #2H on the horizon, investors may be keen to shore up their positions in anticipation of hopefully the next leg up. As the oil price builds momentum, and in parallel 88E deliver on its forward work programme, it looks like the next chapter in 88E’s history is about to be written. We wouldn’t want to be on the side lines for this one.